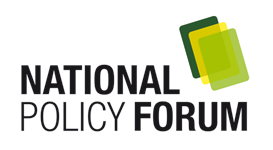 The National Policy Forum is the one national organisation set up to promote the exchange of ideas and policy discussion between business and The Nationals. As such it is uniquely placed to provide corporate and community leaders with a genuine voice on key economic, social and political issues, as well as the opportunity to contribute to policy development. The Nationals hold a core belief in the role of private enterprise, which is why an open dialogue with business and industry stakeholders is so important to the party. Bringing private sector expertise and policy-makers together around the boardroom table, the National Policy Forum is actively used by The Nationals to source and consult on new ideas. Very importantly, the National Policy Forum provides another valuable opportunity to participate in Australia’s national political debate; a “third alternative”. With a solid program of events, the National Policy Forum is also an opportunity to network with political, business, community and industry leaders from around the nation. A range of membership packages offer a suite of benefits and the platform to forge strong, ongoing working relationships. Supporting the NPF is your opportunity to contribute to the development of good public policy, a healthy democracy and a stronger nation.